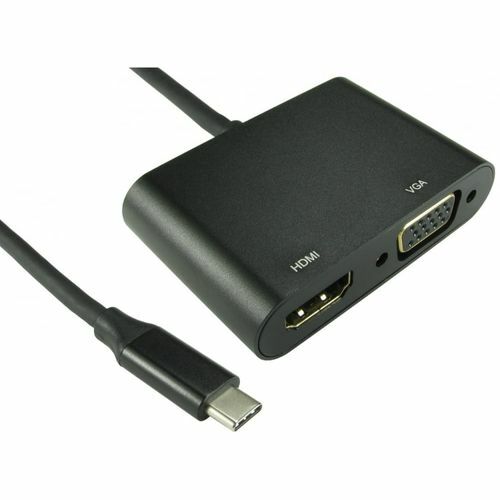 This USB type C adapter can output a HDMI and VGA signal, it can be used in mirror screen and extend modes. This is ideally suited to laptops with two USB type C ports so that one can be used for charging and one can be used for this multi-port adapter. Please note that this is not an MST hub but both ports can work simultaneously, if using both ports then HDMI will downgrade to 1080p.